This tattoo was done by Chris Henry (@chrishenry_tattoos) at Tainted Hearts Creations (@taintedheartscreations) in Greeley, Colorado (he has since opened his own studio in San Francisco with a few other artists from Tainted Hearts called Tattoo Boogaloo @tattooboogaloo). Most of my tattoos were done there, and Chris did [the] majority of them. 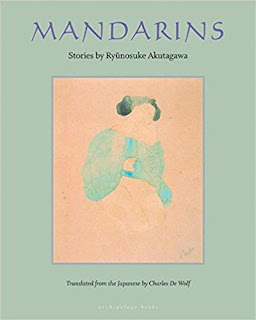 This tattoo is the cover art for Ryūnosuke Akutagawa’s collection of stories, Mandarins. I was introduced to Akūtagawa in an undergraduate modern literature course at the University of Northern Colorado and was hooked immediately. I was just starting to write poetry, and to read short stories that were so imagistic and experimental blew my mind, so much so that I went to the bookstore right after class and bought everything I could find of his, which included this collection. 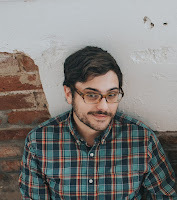 Around this time, I was diagnosed with bipolar disorder, and it felt like I had finally discovered a voice that reflected the strange, melancholic beauty of the world I was experiencing myself. He holds a special place in my life as a person and a writer, and whenever I’m looking for a way to say the sad thing in the most beautiful way, I can turn to any story of his and find what exactly what I’m looking for. unblacken the toothy bruises on my neck. a sign there’s nothing left to consume. how you kiss like love is something to feed. Every wound I manage to close peels open like a husk. under our talons, a bed that deepens with each lick. 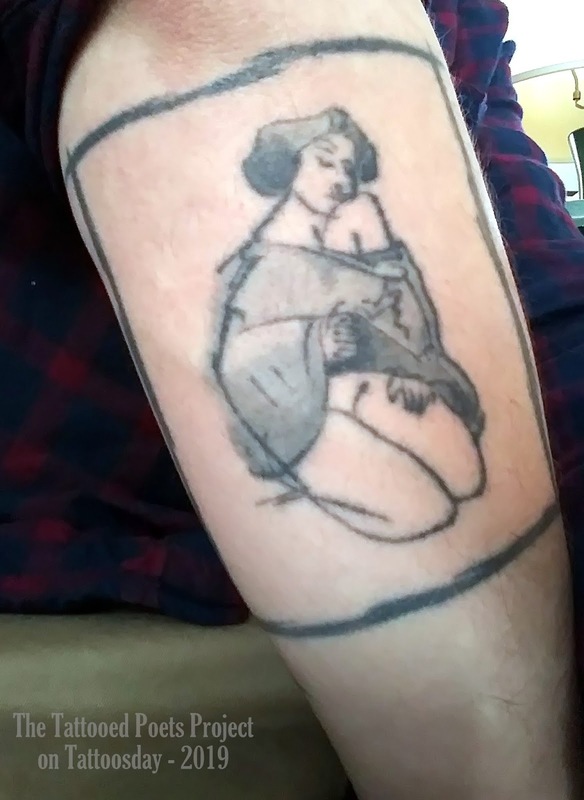 Thanks to Samuel for sharing his tattoo and poem with us here on Tattoosday's Tattooed Poets Project!